Until this year is over FFG announced to release two great expansions, one for Civilization and one for Mansions of Madness. In my last article I wrote about Fame and Fortune, an expansion for Civilization board game. 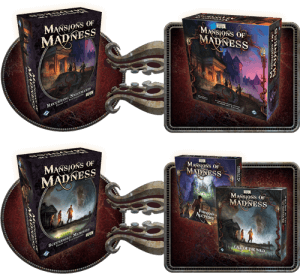 However, there is also another new expansion for Mansions of Madness to be released. There are two small expansions for this game that only add additional scenario, but this new expansion is big and has a lot of things in it. People complain that this game has quite bad replay ability and that you get bored as there are only five scenarios in core game. I will have to disagree with those people as each game is different because of the objective and it is also very important who is playing the keeper. Each player will play differently and that is what makes this game so good. On the other hand, if you really think that it is getting boring because of the same scenarios, you can always get yourself two small expansions and have additional two scenarios to play. However, with new big expansion you have plenty of scenarios to choose from. Forbidden Alchemy expansion brings three new scenarios. So now you have eight scenarios if you count those from your core game, and that is 24 different stories to play, as each scenario has three different objectives and setups. If you add two small expansions there are even more scenarios to play. 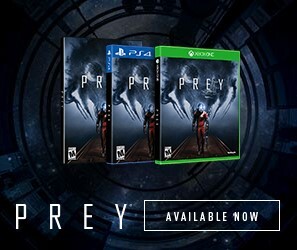 With this new expansion you get four new characters. Those that are familiar with Arkham Horror will find these characters very familiar. Each character is different so you will have to play different roles from game to game. Forbidden Alchemy also brings new map tiles that will combined with core map tiles make even greater maps to play on. I am guessing that now it is all going to be about laboratories and dark science. One of the most interesting things about this expansion is the new puzzle. This puzzle is unique and is nothing like the puzzles we have seen before. In order to solve this puzzle you have to mix different ingredients and hope to succeed. After you make as many correct choices as possible then you roll a die, if you roll equal to or lower than your number of successes you manage to solve this puzzle. If you fail you have to draw a card that represents disaster that happened due to your failure. This definitely adds to the game experience. What is also very good, Forbidden Alchemy also brings two new monsters that will try to stop you during your investigation. Monsters that can be found in core game are great and I think that they are enough for this game. However, as this is big expansion it is expected to have new monsters. I have to admit that I enjoy games that have very little or none monsters at all. These games are really challenging for the keeper, and that is what makes it interesting.